Jesus Christ told His followers they would be His witnesses to ‘’the ends of the earth’’ (Acts 1:8) and to ‘’go and make disciples of all nations’’ (Matthew 28:19), which is the essence of winning souls. Believers need to understand that it is not just about preaching the gospel, but more so, about winning souls. This is usually called – fruitful evangelism. Effective soul winning is not just about telling but winning them (John 15:8). The keys outlined below will enhance believers’ soul-winning efforts and enable them to become successful in leading many to righteousness. 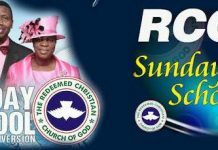 You must strengthen your own personal relationship with God. The time you spend alone with God is important; so also is the time you spend meditating on God’s word (James 4:8a; 2Timothy 2:15). You must be different from the world (Romans 12:2; James 4:4). This world has its own twisted and perverted pattern of values and priorities. We must stand out and be peculiar (2Corinthians 6:17; 1Peter 2:9). Make use of God’s blessings in your life to win souls. People want proof; without proof your testimony is useless. Your life should be the evidence that it pays to serve God. 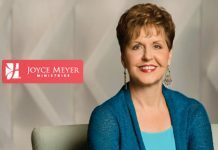 In order to become an effective soul-winner, you must put your gifts, talents and resources to use and create positive/attractive results (1Timothy 4:14-15). Be relevant. Your gifts and talents should be developed and deployed in the marketplaces of the earth to solve the problems of the world. Only those who solve the problems of others can become effective soul-winners (Matthew 5:16). Boldly speak to others about Jesus and their need to get saved (2Timothy 1:7-8). A lot of Christians today operate in fear, too timid to talk about Jesus and stand for their belief. Many Christians prefer to be quite about their faith. Soul winners are always celebrated and will always be celebrating here and beyond because they bring joy to God’s presence always (Luke 10:1, 17; 15:7). Reward in Heaven (Matthew 19:27-29). Manifestation of spiritual gifts and protection (Mark 16:15-18). God does not want anyone to perish (2Peter 3:9). All Christians should therefore, be eager to heed the call for soul-winning. Mention at least 4 keys for effective soul winning. What are the benefits of soul winning? 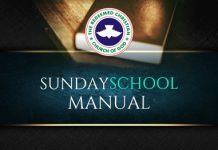 The post RCCG Sunday School STUDENT Manual 17 March 2019, Lesson 29 appeared first on Flatimes.